More snapshots from the prayer vigil. 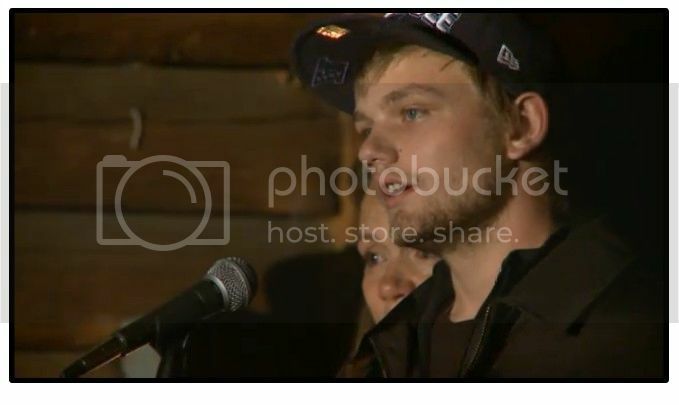 KDVR interviewed Dylan's dad tonight after the prayer vigil. I took these from the live feed. He didn't say much, and I had such a fight with photobucket getting these pictures uploaded that I don't even remember the little he did say. Sorry! I do remember that the reporter stated that he didn't want to answer most of their questions or something to that effect. Comments by someone claiming to be Dylan's aunt on one of Chelsea Hoffman's articles about the case. My brother would not withhold information that would help to find his son. He has been just as upset as everyone else that his son is missing. His ex-wife Elaine and his other son Cory have been in the media, but he is himself just as distraught as they are over the disappearance of Dylan. As far as the custody dispute, a lot of couples go through bitter and angry divorces, and as I have said before, children sometimes hear things that they were not meant to hear and interpret them as something entirely different than what it was meant to be. I do know that Dylan loved both his parents and his brother and his brothers from a prior marriage. Unfortunately, in situations like this, they are going to look at my brother as having something to do with this, but they should be looking at both parents and or anyone involved or related to their divorce proceedings. As mothers and siblings have in the past had involvement in cases like this to get back at the other parent or parents if it is a sibling. Sad, but true. In any case, that is all I have to say at the time. As now it is going on the 8th day of Dylan’s disappearance, and I am just praying to hear some news soon. Hopefully we will hear something from my brother soon hear on our end. Until then, all I have is hope that Dylan will be found. Has your brother taken a polygraph test or done anything else? @ Bridget Redwine-Simmers.....Are you for real? Because if you are, I would like to know exactly what you meant by "I do know that Dylan LOVED both parents......"! Why the past tense? yes i am for real, i am mark redwine's sister and with everything going on, i think i am entitled to a type o. the entire family is living this ordeal, not just my brother and his ex-wife. so give an aunt the benefit of the doubt and allow a type o. so yes i am very real, and do take offense at you looking at me like i am some crazy person over a type o! Searchers are still looking for 13-year-old Colorado Springs resident Dylan Redwine. He disappeared a week ago while visiting his father in Southern Western Colorado. Investigators have had a tough time finding any leads. One possibility is Redwine may have tried to hitchhike back to his mother’s house. Another pointed to Vallecito Reservior. There, the boy’s mother, Elaine Redwine, watched as divers and a K-9 unit searched the area. As of Monday morning the search is a joint investigation with the FBI. Praying that Dylan will be found soon. BAYFIELD, Colo. — A day after being called a suspect in the case of a missing teenager by the boy’s mother, the father of Dylan Redwine is speaking out about the search that’s lasted over a week. Dylan Redwine, who was last seen near his father’s home on November 19, has not been identified as either an abduction victim or a runaway. The FBI, CBI and La Plata County Sheriff’s office have conducted interviews with neighbors, the Redwine family and others but have not announced any new leads in several days. “He needs to come home and that’s what everyone wants for him,” said Mark Redwine in an exclusive interview with FOX31 Denver’s Mark Meredith after attending a community organized prayer vigil. Until Tuesday, Dylan’s father has avoided the media after his ex-wife named him a suspect in a national network interview. The La Plata County Sheriff’s Office has not named the teen’s father as a suspect. On Monday, investigators described Redwine’s father as cooperative in their ongoing investigation. Tuesday authorities decided to call off their active search for Dylan Redwine. It is stated in the video that Dylan texts "all the time"...I'd wondered about that. Makes me really wonder about no activity on his cellphone after 8pm Sunday night. Maybe he didn't have a signal there? Was his phone taken away that night? Did something else happen that night? As the emotionally wrenching search for 13-year-old Dylan Redwine enters a second week, the boy's mother agonizes over what's happened to him. Marc Stewart reports. 13 year old Dylan Redwine disappeared from his father's home in Vallecito Lake, Colorado on Novermber 19th, without at trace. Please memorize his face, his eyes and his smile. Call La Plata County Sheriff's Office, 970-385-2900 if you have any information that can bring Dylan Redwine home. DURANGO, Colo.—The father of a 13-year-old boy missing for more than a week in southwestern Colorado is asking for support while volunteers and authorities try to find his son. 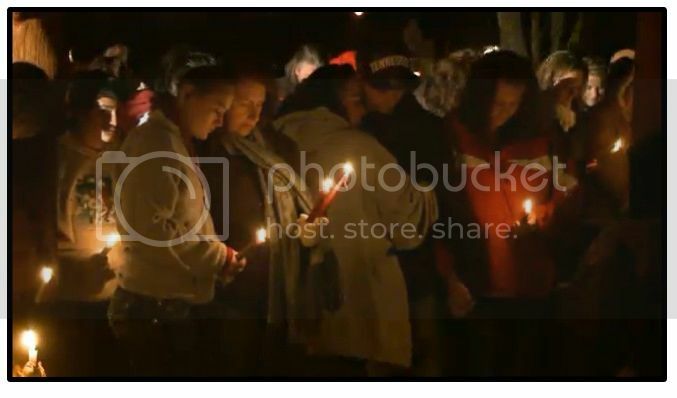 About 150 people attended a vigil for missing 13-year-old Dylan Redwine on Tuesday night at Eagle Park in Bayfield. ALLECITO – A law-enforcement task force redirected its focus Tuesday in its search for 13-year-old Dylan Redwine, who went missing Nov. 19 from his father’s home north of Vallecito Reservoir. Tuesday was the ninth day of intensive searching for the boy. The task force, which includes members from the La Plata County Sheriff’s Office, Durango Police Department, FBI and Colorado Bureau of Investigation, began going door to door looking for anyone who knows or knows something about Dylan, said Durango Police Department Lt. Ray Shupe, who was helping the Sheriff’s Office with media calls from across the nation. The Sheriff’s Office had five to seven investigators interviewing people who may be linked to the case or have information about the disappearance. Canvassing all the homes in Vallecito is expected to take several days. 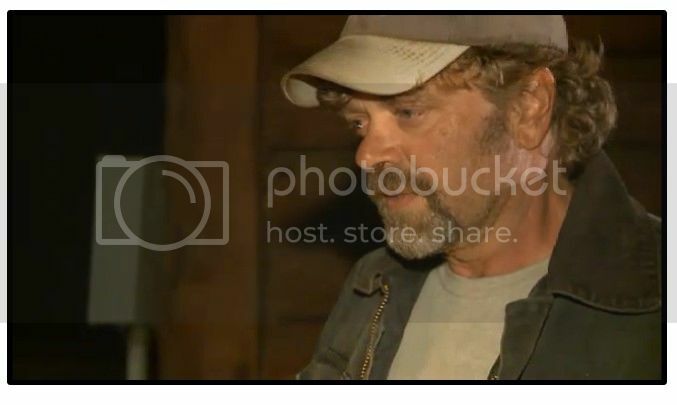 Vallecito store owners and residents living next to Dylan’s father Mark Redwine were a few of those interviewed Tuesday. Shupe said volunteer searchers can aid their cause by not visiting Vallecito for the next couple of days. The unresolved disappearance is stressful on the community, said Denise Hess, a resident and close friend of the Redwine family who has been coordinating volunteer search efforts. Rumors persist in the community that Dylan has been found, Hess said. One rumor was that Dylan was seen at the Bayfield skate park, another said he was seen having dinner. All are unconfirmed. Parents are keeping their kids close in response to the teen’s disappearance by walking them to school bus stops, picking them up from school and not allowing them to go outside alone, Hess said. Neighbors expressed suspicion Tuesday afternoon that foul play may be involved. “It’s quite obvious now that he has been gone for over a week that he has not run away,” said Lisa Bourque, a Vallecito resident who created a Vallecito Facebook page and has been updating it constantly with news of Redwine’s disappearance. Hess said she and those close to the family maintain Dylan did not run away from his father’s house. “I guess the options are that someone took him against his will or foul play somewhere,” Hess said. “We’re one way in, one way out. Nobody is going to come to Vallecito looking for a little kid. There’s not even a playground here, there aren’t even that many kids here, and he wasn’t even living here. It doesn’t make any sense,” said Bourque, who has lived in the community for nine years. When approached at his home in Vallecito, Mark Redwine answered the door clutching a pillow. He declined to be interviewed, saying he had been “bombarded” by media requests. He said he didn’t have a lot of support at the moment and had family coming in to help him figure out how to respond to the situation. 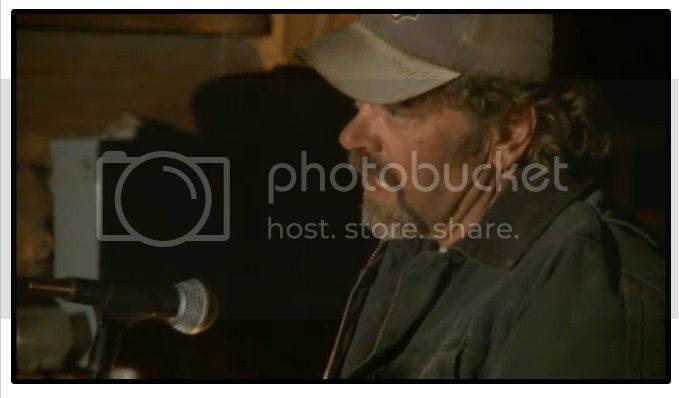 Mark Redwine said he expected his brother to arrive Tuesday night in Vallecito. Elaine Redwine was director of financial aid at Fort Lewis College when she left for Colorado Springs this summer. She works in the same field now at Colorado College. Mark Redwine worked at United Pipeline Systems in April 2010 when a kitchen fire caused heavy damage to his house. The person who answered the telephone Tuesday at the company in Bodo Industrial Park said, “I’m not going to give out any information at this time” when asked if Redwine still is employed there. Elaine Redwine, made comments to ABC News Radio on Monday saying she’s afraid her ex-husband might have had something to do with their son’s disappearance. Mark Redwine, who said he arrived late because he didn’t know about the vigil, obliquely responded to those comments during his speech. 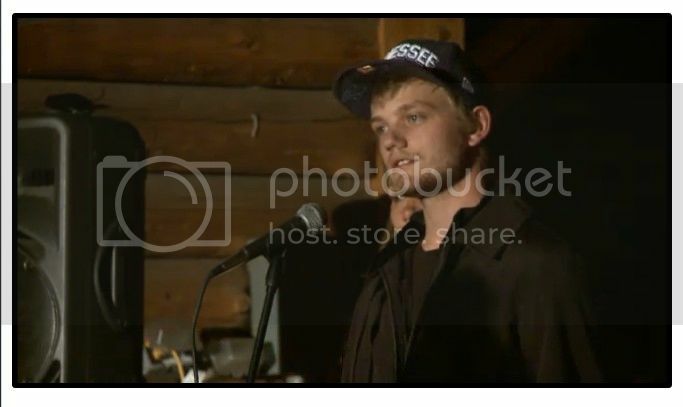 Dylan’s older brother, Cory, 21, gave his father a hug after he spoke. After the vigil, Elaine Redwine’s sister, Lia Howard, said she was surprised Mark Redwine came. “But I’m glad he did,” she said. Three La Plata County Search and Rescue air-scent canines have returned to the Vallecito area to do ground searches. Articles with Dylan’s scent on them have been provided by Dylan’s mother (brought from Colorado Springs) and these articles allow the handlers to have his scent on reference in order for the canines to conduct their search. “Investigators are no longer looking at the possibility of Dylan being a run-away, but we still view this as a search and not a recovery effort,” said Dan Bender, Public Information Officer for the La Plata County Sheriff’s Office. The Task Force is still requesting that the public not conduct their own door-to-door searches north of the Vallecito Dam, as it may interfere with the search that the investigators are doing. Residents who are approached by investigators that are not accompanied by a uniformed officer are encouraged to ask for proper law enforcement identification. A few days ago, there was a part of a fishing pole found on the Vallecito dam and investigators have determined that it has no connection with Dylan. The owner of that broken fishing pole has been contacted and the fishing pole has been ruled out as a potential clue. The Task Force is asking the general public if they have any recreational video footage that includes vehicles traveling on main routes between Durango and Vallecito Lake, taken between 6:00 p.m. on Sunday, November 18 through noon on Monday November 19, to call dispatch at (970) 385-2900 to make an arrangements to get a copy of the footage to the Task Force. Investigators have determined that Dylan Redwine, a 13-year-old who disappeared from his father's home in the Vallecito area 10 days ago, didn't run away, according to the La Plata County Sheriff's Office. Authorities are asking for anyone who filmed vehicles traveling on main routes between Durango and Vallecito Lake between 6 p.m. Nov. 18 and 12 p.m. Nov. 19 to provide copies of the video to a task force investigating the disappearance. Arrangements to turn over a copy can be made by calling (970)385-2900. A tip line has been set up for the search at (970)382-7511. A tip line has been set up specifically for the search for Dylan Redwine at 970-382-7511. Citizens are encouraged to leave a voicemail message at this number with information to aid the Task Force in this search. If a citizen wants a return call from law enforcement, they must leave their contact information, but anonymous tips are acceptable as well. This tip line is not a manned telephone number and it is not a way to get information about the search. The Durango La Plata Crime Stoppers also has a cash reward for information leading to Dylan. Crime Stoppers can be reached at 970-247-1112. Citizens may also call the hotline for the National Center for Missing and Exploited Children at 1-800-THE LOST (1-800-843-5678). NOTE: they are asking for ANY information from 6PM Sunday evening, everybody try to remember and think back if you were driving ANYWHERE on that evening! EVERY tip will help! It seems they are looking at everything now. From the time he was HERE in area until he was reported missing. Jessica Herrera Martinez I called the number this morning to let them know that we were driving on CR 500 and 501 around the time he was reportedly seen walking and did not see anyone at all. I haven't received a call back, but I wanted to put it back out there just in case. Nancy Grace is covering Dylan's case tonight! I tuned in late but fortunately was recording so I'm watching it now. Investigators in the Dylan Redwine disappearance said Wednesday they have determined the 13-year-old did not run away. "Just given the length of time (he's been gone), we're looking at other possibilities," said Durango Police Lt. Ray Shupe. "Everything from abduction to homicide." The Dylan Redwine Task Force is continuing their door-to-door canvasing of the Vallecito Lake area near Durango. Page created in 10.19 seconds with 20 queries.